Corbyn Munnik, Sliide airtime CEO and founder. Sliide Airtime, a Nigerian-based mobile app, was named the Most Innovative Mobile App at Global Mobile World awards held at the GSMA's Mobile World Congress 2017 in Barcelona this week. The award comes just as the app prepares to launch the service into its second and third markets, namely South Africa and Pakistan. 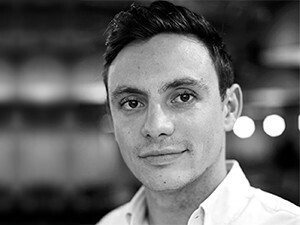 Founded by South African-born Corbyn Munnik, Sliide is a content delivery platform that gives users free airtime in return for engaging with news and sponsored content. According to Munnik, Sliide was designed to solve a real-life problem for people living in Africa and other emerging markets as data is expensive relative to incomes. "I was determined to find a way to make the Internet more affordable for myself, my friends and family - and fellow citizens. Sliide Airtime is the result; a new and innovative way to access content from mobiles and simultaneously earn free airtime," he says. Sliide is Africa's first lock screen content and mobile advertising delivery platform, he adds. A 2017 Affordability Report compiled by the Alliance for Affordable Internet (A4AI) has indicated that high connectivity costs remain one of the biggest obstacles to achieving the universal access pledge. "To buy just 1GB of data in Africa, for example, costs an average citizen nearly 18% of their monthly income. Though broadband prices continue to fall, they simply aren't dropping fast enough. Meanwhile, high and growing income inequality in many countries conspires to ensure that only the relatively rich can afford a private Internet subscription, and public access solutions remain few and far between. A majority of countries are failing to take the action needed to drive prices down and enable access for all," said A4A1's report. Munnik says the app uses 65% of its advertising revenue to buy data from mobile network operators and give the data back to users, creating free Internet for users while also providing advertisers with a unique platform to reach consumers through their most frequently used device. Last year, at the AppsAfrica Innovation awards held during AfricaCom in Cape Town, Sliide won the title of Best African App, beating competition from more than 200 submissions from 25 countries. It was also named as the most effective consumer smartphone app at the Effective Mobile Marketing Awards in London, mobile marketing company of the year at the annual Nigerian Telecom Awards and winner of the game-changing innovation category at the West Africa Com Awards. Speaking about its most recent accolade, Munnik says: "What an honour for myself and the Sliide team. This is proof yet again that Africa can produce innovative companies that can change the world. We are now raising funds to expand into additional markets; there's a lot more to achieve as we continue to expand and scale up our offering."